The C 22 ensures the precise, cost effective and efficient production of parts. The numerous automation solutions enhance its range of application; individual configuration is easy thanks to the modular design. The Hermle engineers have essentially designed and created this machine with space in mind. With the most efficient footprint possible, the C 22 offers maximum efficiency. And it goes without saying that large components can be machined, too. Nonetheless, the C 22 is ultra compact and ensures the necessary clearance for 5-side/5-axis machining. 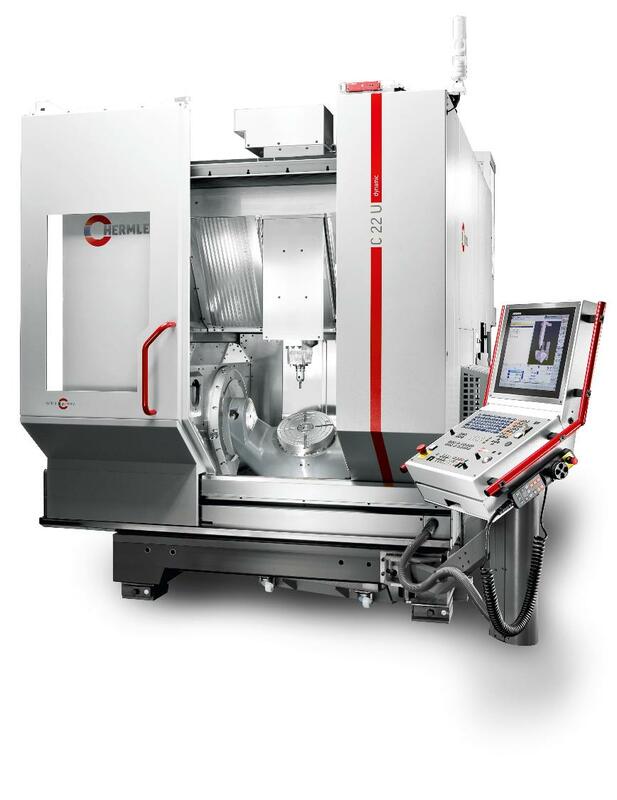 Short process cycles, quick workflows and the highest possible machine dynamics: The C 22 is designed to machine complex geometries with high accuracy and small tolerances. The circular tool magazine is integrated into the base body of the machining centre and can house up to 65 cutters; additionally, it is possible – as with almost all Hermle machining centres – to adjust the operating system to the user.